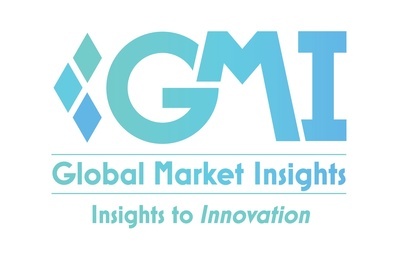 Global Membrane Air Dryers Market to Cross US$800 mn by 2025: Global Market Insights, Inc.
SELBYVILLE, Delaware, Feb. 5, 2019 /PRNewswire/ -- North America membrane air dryers market will witness around 4% CAGR up to 2025 owing to increasing spending in healthcare sector along with stringent health, safety and environment standards in order to reduce occupational respiratory diseases. Membrane air dryer market demand is slated to exceed USD 800 million by 2025; according to a forecast statistic analysis by Global Market Insights, Inc. Increasing industrial development activities in emerging economies owing to strong legislative decisions taken to attract FDI is one of the prominent factors influencing the global membrane air dryers market growth in positive manner. Growing demand of consumer goods and home appliances due to rising disposable income of the population has given boost to general manufacturing sector in Latin America & Asia Pacific. In Brazil the FDI inflow reached USD 62.7 billion between 2016 and 2017 according to UNCTAD (United Nations Conference on Trade and Development) and accounted for around 40% of the total FDI inflow in Latin America. These trends are expected to follow due to easy availability of skilled labor and favorable regulations in the emerging countries, which will increase investments in end-use industries such as chemical, oil & gas, general manufacturing, food & beverage, etc. Various advantages of membrane air dryers such as compact design, light weight and no moving parts makes it suitable to be used in precision machining, laboratory, analytical equipment. These are also used to provide dehumidified air in plants as well as for medical purposes. Increasing investment in R&D activities by different end-user industries to optimize their operations will catapult the product demand as these are used in various industrial instruments. On the basis of application, the market is segmented into plant/shop air, instrument air, process air, breathing air. Among these breathing air accounts about a quarter of global market share. There are many industries where ambient air is hazardous for breathing purposes such as in chemical, pharmaceutical, oil & gas, and general manufacturing. Compressed air passed through membrane air dryers is used for protection of operatives from such hazardous air. Based on end-use, membrane air dryers market is categorized into chemical, oil & gas, medical, food & beverage, electronics, general manufacturing, etc. Among these, oil & gas sector accounts about a tenth of the global product market. Membrane air dryers require no electricity hence can be easily used in remote offshore oil rigs and in oil well logging equipment. The membrane air dryers are also used in various food packaging machines and equipment to provide nitrogen for food applications. The rising demand for convenience food in the North America will also create favorable conditions for the product market over coming years. The key players in the membrane air dryer market are Donaldson Company, Graco Inc., Parker Hannifin Corporation, Kaeser Kompressoren, Omega Air, Gardner Denver, Atlas Copco, Hankison, Ingersoll-Rand, Bellex International, Walmec, etc. Industrial Air Filtration Market size was over USD 4 billion in 2017 and the industry is expected to grow with a growth rate over 7% during forecast period.